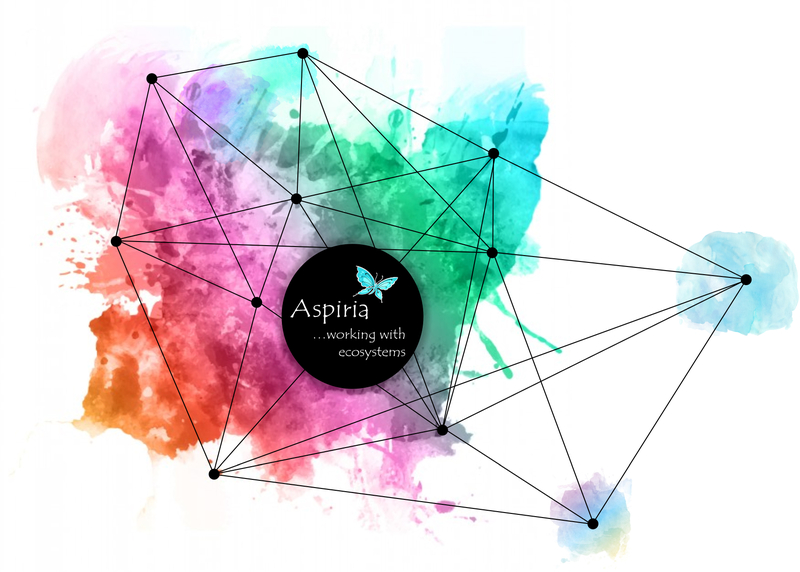 Aspiria is a development company with a vision of helping people, organizations and societies innovate and transform. We work in partnership with our clients on their sophisticated development demands, providing individualized upscale services. Our mission statement is: to act concretely, to the best of our abilities, on increasing organizational health and efficiency. Established in 2002, we have consistently developed our portfolio of services in partnership with our clients and field-experts. Today, we are proud to be able to bring to the table a strong collective of highly skillful, experienced and motivated professionals, focused on the good of an integrated ecosystem: company + employees + partners + customers + community. Our Grow services consist of training, coaching and consulting tailored according to various short-term development needs of individuals and organizations. Immersion is a portfolio of services focused on organizing unique, out-of-the-box presencing retreats that serve as innovation labs, action research platforms, idea incubators and ways to explore emerging future. They are run by renaissance-type leaders, most often a combination of long-term serious mindfulness practitioner / artist / scientist / manager / social-innovator etc. Immersion retreats rely on the use of art and are conducted in particularly inspiring settings where nature and culture combine to create an environment conductive to profound insights. Finally, we have mentors of our own, obligatory after-action reviews, supervision and continuous education. We practice what we teach, and we teach what we practice.